New York City in May has been populated with lots of Red Admiral butterflies. 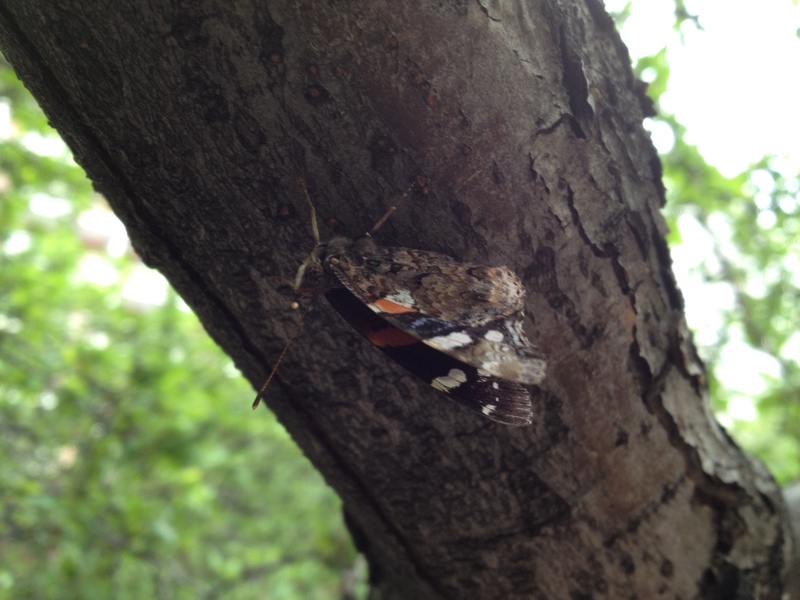 The Red Admiral in the photograph above was perched on a crabapple in Greenwich Village. The surge of Red Admirals was written about by Gothamist (Red Admiral Butterflies Are Out And About! ), WNYC (Butterflies Flutter Across the Region in Abundance), the New York Times (Insect Discoveries, Delightful and Disturbing), and Baristanet (New Jersey) (Butterflies Abound).